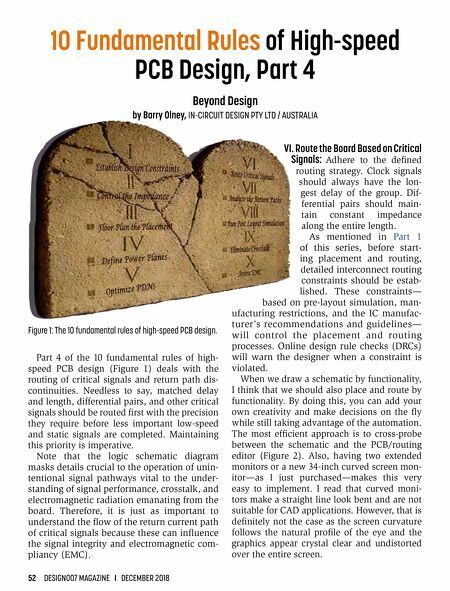 52 DESIGN007 MAGAZINE I DECEMBER 2018 10 Fundamental Rules of High-speed PCB Design, Part 4 Beyond Design by Barry Olney, IN-CIRCUIT DESIGN PTY LTD / AUSTRALIA Part 4 of the 10 fundamental rules of high- speed PCB design (Figure 1) deals with the routing of critical signals and return path dis- continuities. Needless to say, matched delay and length, differential pairs, and other critical signals should be routed first with the precision they require before less important low-speed and static signals are completed. Maintaining this priority is imperative. Note that the logic schematic diagram masks details crucial to the operation of unin- tentional signal pathways vital to the under- standing of signal performance, crosstalk, and electromagnetic radiation emanating from the board. Therefore, it is just as important to understand the flow of the return current path of critical signals because these can influence the signal integrity and electromagnetic com - pliancy (EMC). VI. Route the Board Based on Critical Signals: Adhere to the defined routing strategy. Clock signals should always have the lon- gest delay of the group. Dif- ferential pairs should main- tain constant impedance along the entire length. As mentioned in Part 1 of this series, before start- ing placement and routing, detailed interconnect routing constraints should be estab- lished. These constraints— based on pre-layout simulation, man- ufacturing restrictions, and the IC manufac- turer's recommendations and guidelines— will control the placement and routing processes. Online design rule checks (DRCs) will warn the designer when a constraint is violated. When we draw a schematic by functionality, I think that we should also place and route by functionality. By doing this, you can add your own creativity and make decisions on the fly while still taking advantage of the automation. The most efficient approach is to cross-probe between the schematic and the PCB/routing editor (Figure 2). Also, having two extended monitors or a new 34-inch curved screen mon- itor—as I just purchased—makes this very easy to implement. I read that curved moni- tors make a straight line look bent and are not suitable for CAD applications. However, that is definitely not the case as the screen curvature follows the natural profile of the eye and the graphics appear crystal clear and undistorted over the entire screen. 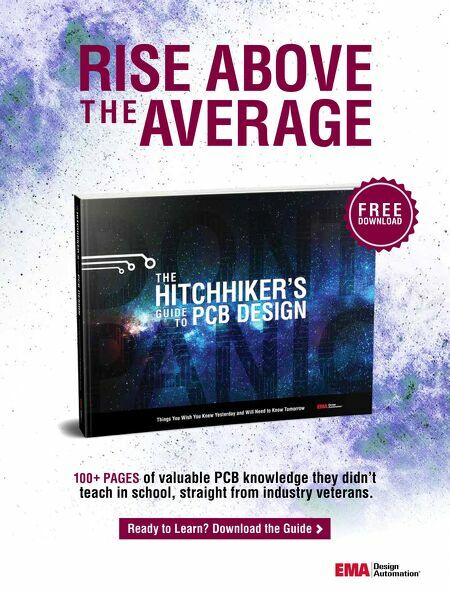 Figure 1: The 10 fundamental rules of high-speed PCB design. Feature — Why Should You Join the Designers Council?